June is one of the most popular times to go to Portugal, largely because the weather is so good. Summer is well on the way, and temperatures are rising nicely, without the often-oppressive heat of August. 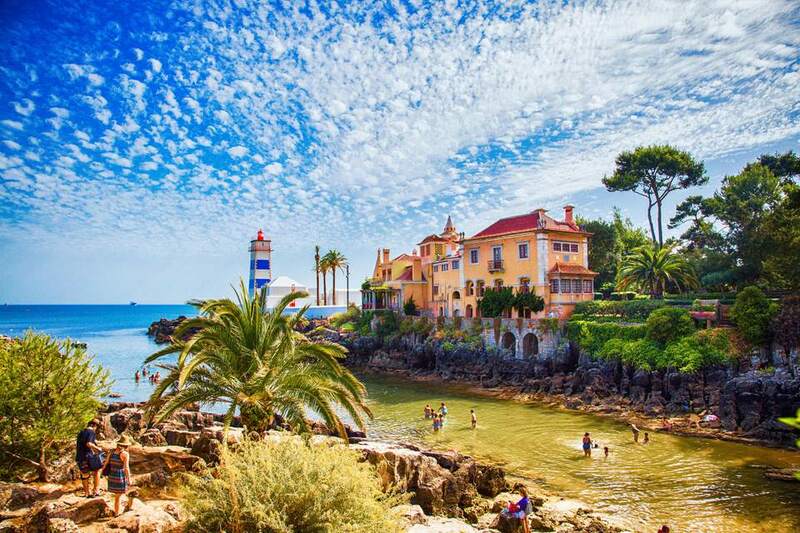 Beaches and parks are starting to fill up with locals and tourists alike, and with major festivals in both Porto and Lisbon in June, it's a great time to visit. Since most Portuguese cities are on the Atlantic coast, the ocean breezes usually have a cooling effect, especially in the afternoon. Still, be prepared for high temperatures at any times, especially if you head inland. Popular destinations like the Douro Valley have their own microclimate and can often be significantly hotter than places on the coast a few dozen miles away. You're likely to find plenty of sunshine just about anywhere in the country. Overall, temperatures are nice along the coast anywhere you go, from Porto in the north to the southern Algarve coast, and Lisbon in between. The mercury is rising in Lisbon in June, along with the number of visitors. There's typically very little rain, and even cloudy days are a rarity. Expect plenty of blue skies. Temperatures can get as high as 100°F/38°C on occasion, and as low as 55°F/13°C, so be prepared and pack accordingly. You'll typically find yourself wearing shorts and short sleeves during the day, switching to trousers and a light jacket in the evening. The average maximum temperature in Lisbon in June is a comfortable 77°F/25°C. The average minimum temperature is quite mild, at 61°F/16°C. June is particularly dry in Lisbon, with an average monthly rainfall of just 0.7''/17mm. What little rain there is comes in the form of light passing showers, so there's no real need for a rain jacket. June is particularly pleasant in northern Portugal. Expect mostly sunny days, with warm, settled temperatures throughout. Heatwaves have seen peaks as high as 96°F/36°C, however, with lows down to 48°F/9°C. Porto is typically a little cooler and wetter than Lisbon, so as with the rest of the northern coast at this time of year, it's always a good idea to expect some temperature variation. Pack your bag appropriately, with both warm and light waterproof options, just in case! Like Lisbon, you'll typically wear short sleeves and shorts during the day, with warmer options once the sun goes down. The average maximum temperature in Porto in June is 73°F/23°C. The average minimum temperature is a little cool, at 57°F/14°C. At 1.8''/46mm, Porto's average monthly rainfall in June is higher than Lisbon's, as it is for much of the year. Sunny days and warm temperatures characterize the Algarve at this time of year. Although they can get as high as 95°F/35°C and as low as 55°F/13°C, the climate of the southern coast is temperate. Of anywhere in Portugal, the Algarve gives you the best probability of having sunny, warm days throughout the year, and June is no exception. As befits its relaxed beach vibe, you'll usually find yourself in shorts and t-shirt in the Algarve in June. It's worth taking light trousers as well, though, for heading out at night. The average maximum temperature in the Algarve in June is a warm 78 F/26 C.
The average minimum temperature is 61 F/16 C, the same as Lisbon. The average monthly rainfall in June in Faro is almost non-existent, at 0.3''/7mm. The Douro Valley can still be comfortable in June and with less rain than the winter, this is a good time to do some sightseeing. However, keep in mind that the temperature averages for the Douro Valley don't tell the whole story. Being inland, the area gets more extreme weather than coastal locations, so certain summer days can get surprisingly hot. While you'll likely be quite warm during the day, the temperature drops at night, so take warm clothing with you to change into. The average maximum temperature in Vila Real in June is 77°F/25°C. At a higher altitude than the coastal cities, the average minimum temperature in the Douro Valley in June is a surprisingly-low 54°F/12°C. The average monthly rainfall in June in Vila Real is 2''/54mm. It's worth packing a rain jacket, just in case.